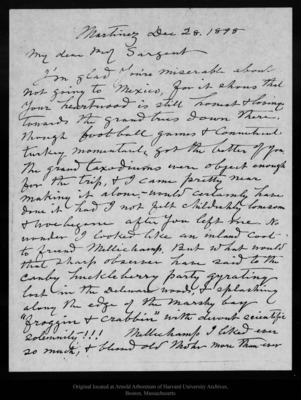 Letter from John Muir to [Charles Sprague] Sargent, 1898 Dec 28. Arnold Arboretum of Harvard University Archives, Boston, Massachusetts. Please contact this institution directly to obtain copies of the images or permission to publish or use them beyond educational purposes.